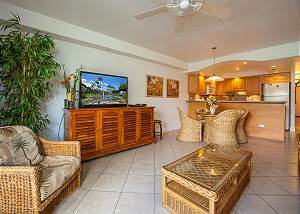 Book one of Maui's top vacation rental properties, Kamaole Sands, while you still can! 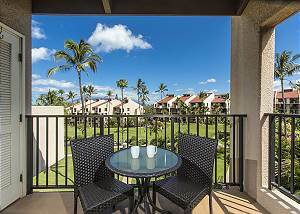 Kamaole Sands has everything you need for a great Hawaiian getaway. 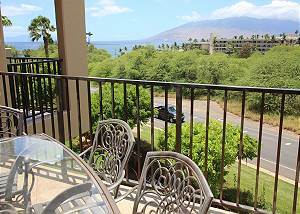 Stunning 1, 2, and 3 bedroom condo rentals with spectacular views from your private lanai await! 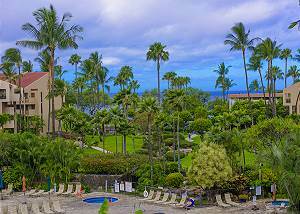 This well thought out hotel resort complex features numerous amenities including pools and tennis courts to entertain you on the property as well as a white sand beach across the street for dipping your toes in the Pacific Ocean. 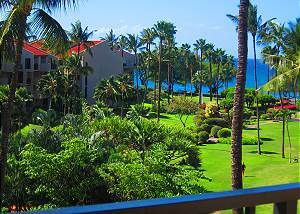 Green, luscious, tropical grounds dotted with swaying palm trees welcome you to your vacation oasis. Each of our condo rental accommodations is fully-equipped with tasteful furnishing and all the comforts you will need for a superb stay. Fully-equipped kitchens and dining areas make eating in for the night a snap. 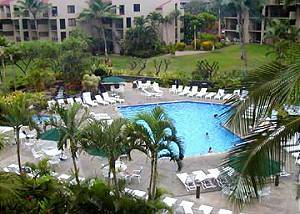 Spacious bathrooms, washer and dryer, private lanai, and more -- all waiting to help make your Hawaii vacation a relaxing and amazing experience. 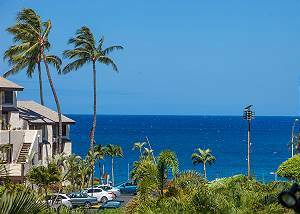 Located right across the street is one of Maui's most beautiful beaches, Kamaole Beach Park III. Sand, snorkeling, small waves, tide pools, bathrooms, and lifeguard. This is an IDEAL beach for families with younger kids. 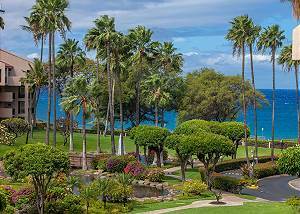 This Hawaiian island location is a great home-base for your Maui vacation. 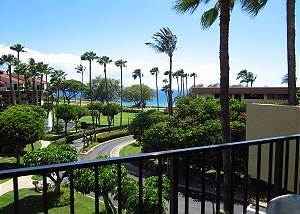 In a radius of few blocks from your condo, there are many options for beaches, shopping, activities, and dining. The Kihei boat ramp is also just a short walk away where you'll find many tour companies that host boat and raft excursions. 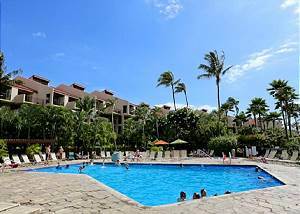 Kamaole Sands is the home away from home you will want to keep coming back to for your Hawaii vacation! 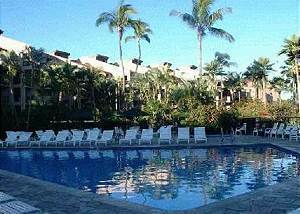 Paradise awaits at our affordable condos! 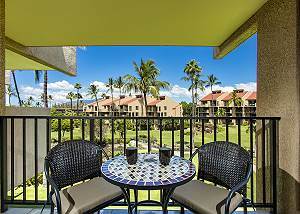 With fully equipped kitchens and outdoor dining options, Kamaole Sands will woo you and your party into the Aloha spirit! 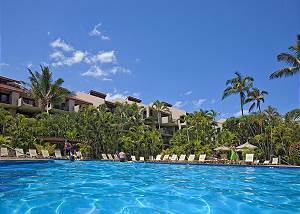 When you are not at the beach across the street soaking up the sun or snorkeling around the beautiful reef, you can be wading in the crystal water of our swimming pool or barbecuing outside with the magnificent palms and manicured landscaping surrounding you. See for yourself why people come back year-after-year. 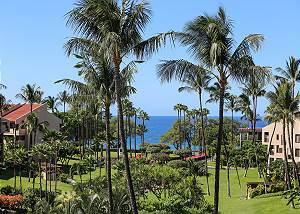 Come join the Kamaole Sands' ohana for an unforgettable trip to the breathtaking Valley Isle.